19 March 1863, 2 a.m. 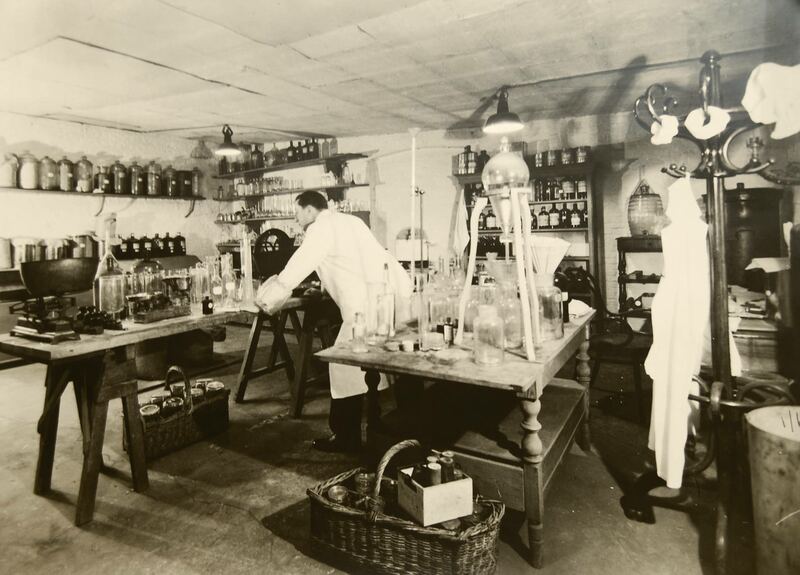 Many years after he started his search for the perfect formula, François-Xavier de Beukelaer completed his final recipe for Elixir d’Anvers in the early hours of 19th March 1863. A student of medicine and pharmacy, he created this delicious herb-flavoured liqueur that stood out because of its remarkable digestive and beneficial characteristics. The exceptional quality of Elixir d’Anvers was soon recognized worldwide, and it was awarded dozens of gold medals and honorary diplomas. Elixir d’Anvers’ popularity wasn’t just confined to Europe, and soon this artisan herb-flavoured liqueur was also praised in Australia, Africa and the United States. One of the most remarkable diplomas was awarded in Boulogne-sur-Mer, France (1887), and was signed by Louis Pasteur. In 1863, François-Xavier de Beukelaer founded his liqueur distillery at Paardenmarkt in Antwerp, but swiftly had to move to larger premises at 22 Bredastraat, with offices at 77 Kipdorp, and branches at 63 Paardenmarkt, 65 Anneesensstraat, and Kapelstraat in Hoboken. 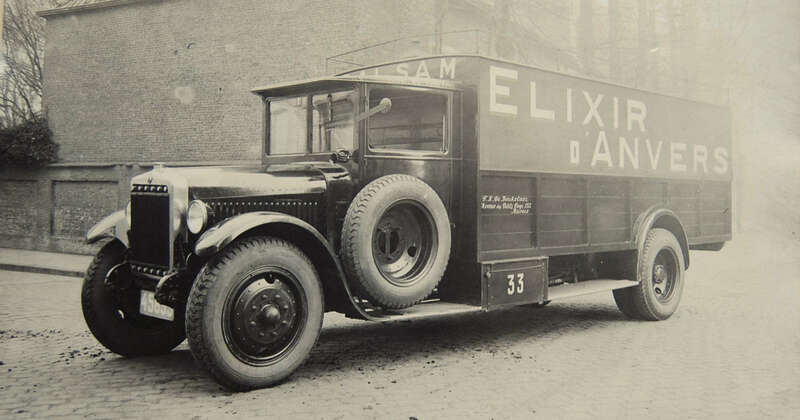 Because of the immense success of Elixir d’Anvers, the distillery soon outgrew its location in Bredastraat and was moved to a larger distillery on the corner of Everdystraat and Hospitaalstraat. 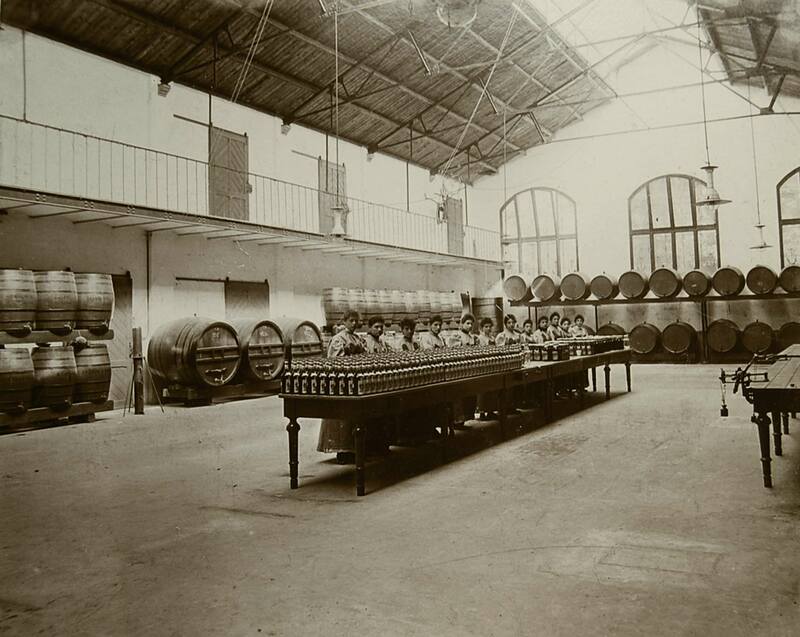 But even this larger distillery couldn’t keep up with demand, and François-Xavier de Beukelaer acquired land in Haantjeslei, together with the castle and the park, where a new and modern distillery was opened in 1894. In 1913, the building of a new warehouse at 40 Van Trierstraat was completed. 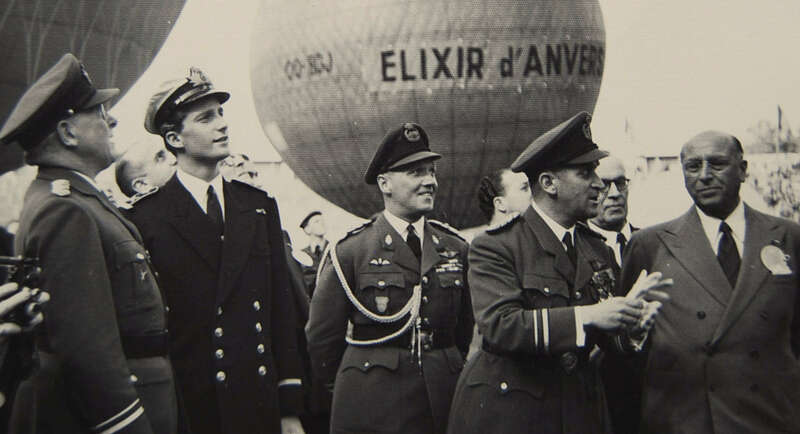 With this permanent base, the local and international demand for Elixir d’Anvers could be met. On 1st February 1909, François-Xavier de Beukelaer incorporated the business that now involved his wife and their sons Emile and Louis-Xavier de Beukelaer. Together with the construction of a new and modern distillery, this was the logical next step towards professionalization. During the First World War, the de Beukelaers withdrew from the company, and left their sons Emile and Louis-Xavier in charge. When Emile de Beukelaer died in 1922, still a young man, Louis-Xavier continued the business, together with his sons Balthazar-Xavier and Jean, and his cousin Edmond de Beukelaer. After a 53-year career in charge of the distillery, Louis-Xavier retired in 1941, and left his company to his sons and cousin Edmond. After the Second World War, Edmond de Beukelaer acquired the entire company and was later joined by his sons Emile and Jacques. Both have now also retired. After many years of collaboration with Emile de Beukelaer, Ivan Nolet de Brauwere, a member of an old distiller’s family, is now leading FX de Beukelaer. He brought much-needed modernisation to the company, whilst maintaining respect for the tradition. After over one and a half centuries, he continues the work that François-Xavier de Beukelaer had started.